The CakePHP framework, in fact, is the clone of the popular Ruby on Rails solution and allows working with modern versions of PHP. That is why CakePHP became the choice of many web studios engaged in the development of sites. But after the launch of the site there is an issue of supporting its work. Typically, many sites start to load more slowly. Most often, the reason is the abundance of non-optimized pictures. The CakePHP framework does not provide standard means for image compression. Often, webmasters manually try to compress images, but this is possible with a small number of them. If you have a full-featured online store, there may be hundreds or thousands of images in it. A plug-in for image compression in CakePHP is still there it is called OptiPic. It runs on its own algorithms with minimal load on the processor and server memory. Reducing the images in CakePHP is done in the background. To start working it is enough to make a preliminary setting. The image reduction plugin in CakePHP works with both already loaded images and new images. The average reduction in size is 70%. 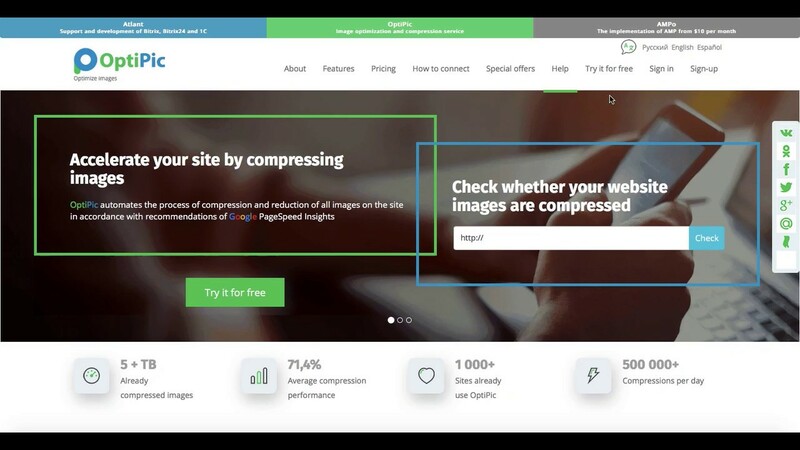 After the compression of images in CakePHP with the help of the OptiPic plug-in, it is possible to accelerate the site loading by 2-3 times. How can optimizing images for CakePHP speed up a site?